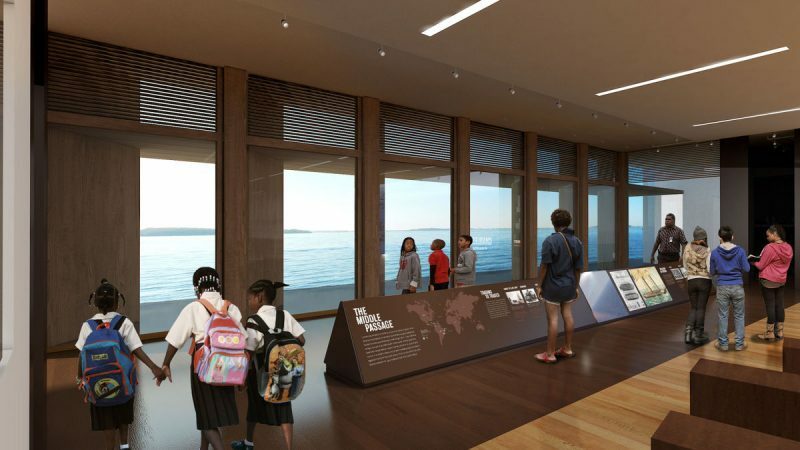 Any lingering doubts that the Charleston’s International African American Museum will meet its long-anticipated groundbreaking next March should be largely dispelled by the generous $10 million gift from the Eli Lilly Endowment. State lawmakers should take note. Last session, legislators declined to grant an anticipated $5 million allocation to the museum, to be built on the Charleston harbor near the historic location of Gadsden Wharf, the entry point for many Africans who were brought as slaves to the United States in the 18th and 19th centuries. Lawmakers said they wanted to make sure that the project would receive the expected funding from private sources, as projected by former Charleston Mayor Joseph P. Riley Jr.
That formula would have a third of the museum’s $75 million cost raised from private donations, a third from local governments and a third from the state. State lawmakers must come up with a total of $11 million, which needs to be allocated over the next two budgetary years in order for the project to stay on schedule. Plans call for a groundbreaking in 2018 with the museum opening the following year in order to mark the 400th anniversary of the arrival of the first slaves in the United States. That’s a somber and profoundly important date to commemorate, and one that carries particular meaning here in Charleston, where many thousands of the nation’s slaves entered the country. Those slaves and their descendants helped build Charleston into the city it is today. Their stories are the stories of Charleston, of South Carolina and of the United States as a whole. And those stories deserve a first-class museum to showcase them and present them to the public. Charleston’s museum won’t replicate the National Museum of African American History and Culture on the Mall in Washington, D.C. As noted by museum President and CEO Michael B. Moore, the Charleston museum will have more of an international focus. But the response to the national museum should encourage support for Charleston’s. Visitor passes have to be obtained months in advance to ensure entry to the Smithsonian museum. As Washington Post columnist David Von Drehle recently wrote, the average visit to that museum lasts an astonishing six hours. “In this world of cynical distractions, thousands each day choose to focus on a deeper understanding of our past, our future and ourselves,” he wrote. The Lilly gift represents the largest private donation to the museum, and leaves it needing another $9 million to meet the goal for private donations. Mr. Moore says that the Lilly gift will encourage other donors to make their contributions as well. The Lilly gift will support project construction, and provide major support to the museum’s foundation and for exhibits at the museum. The gift will fund exhibits related to the importance of religion to the African American experience. Charleston owes the Eli Lilly Foundation a great debt of gratitude for helping to bring an important museum to life. State lawmakers must now step up as well and finish the job.